I was referred to a heart doctor a couple years ago and after some tests I was told I have mitral valve prolapse (MVP). I'm 51 now but had symptoms since about 40 years of age, and my biggest symptom is anxiety. Many times I wake up in the middle of the night with a feeling of doom in my chest and it freaks me out! I also have the floppy heart feeling and extreme awareness of my heartbeat. I wonder if anyone else ever woke up choking and coughing. As I am reading all these comments I realize that people aren't really aware that most of these symptoms are indeed related to anxiety or stress excluding the severe cases of mitral regurgitation. I also have mitral valve prolapse (MVP) and severe anxiety. I have all the symptoms except chest pain. These symptoms come and go in accordance with my anxiety and stress level. This is why I don't think that MVP is the culprit behind all these strange symptoms. At least in mild or moderate cases. Almost 20 years ago, an old-school cardiologist told me I had mitral valve prolapse (MVP). He sent me for an echocardiogram and the radiologist stated MVP wasn't present, but that I did present with what appeared to be a trace of mitral valve regurgitation. The symptoms then were similar to anxiety. I was dismissed and told to follow up in a year. My insurance changed and I left well enough alone. In 2013, approximately 12 years later, I am dealing with a progression of heart palpitations. I recently had my heart ultrasound and was told I had very borderline mitral valve prolapse with slight regurgitation, 1 month after turning 40. At first I didn't think anything of it but at the end of October I started having heart palpitations so bad I couldn't go to sleep because it would get worse. Or if I did get to sleep I would wake up with my heart racing. I'll be seeing a cardiologist in December to see what comes next. Lorazepam helps a little with the anxiety. I'm 31 years old. I started having breathing issues about a week ago. I went to the emergency room twice and EKG and all other tests were fine. I went to my primary doctor for follow up and had echo done. Found out today that I have mitral valve prolapse (MVP) and will be referred to a cardiologist. I hope that medication will fix my issue. Feels like a ton of bricks are lying on the left side of my chest but the breathing has gotten so much better. Thank goodness! I'm glad I found this site, I hate that we are going through this. I am 55 year old, male, diagnosed 10 years ago with mitral valve prolapse (MVP). I've been very active all my life and have played sports at very high levels. Recent echo indicates I have severe regurgitation and am told I need an open heart valve repair in the next 2 or 3 months. I have other issues that I never associated with MVP, such as restless legs and ocular migraines. I'm beginning to wonder whether these other conditions are related to the MVP. I found out my son has mitral valve prolapse (MVP) when he was in 6th grade. He passed out in the choir stand at church and noticed after he would breathe weird. He would be breathless just going up the stairs. My son is very active so this was alarming. Took him in to his yearly checkup, the doctor was listening to his heartbeat and looked very concerned. The doctor said he want me to take him downstairs so we can run an EKG on him. The doctor was concerned because his heart rate was only 40 bpm and he had irregular heartbeats. EKG confirmed MVP. I'm 42 and was diagnosed with mitral valve prolapse (MVP) 10 years ago by my primary care physician. He is a cardiologist who heard it with his stethoscope in my first visit. I went to see him for an unrelated issue so I was surprised, but looking back, I've had anxiety issues since childhood, and when I was 21 I had sharp pains in the left side of my chest and it felt like my heart would skip a beat now and then. My doctor at the time said it was an infection in my chest wall and to take Advil. It recurred every couple years until diagnosed. Anxiety was my first symptom of mitral valve prolapse (MVP). I had racing heart and a flopping feeling down towards my stomach. Feels like it misses a beat, then flops. I hate it, scares me every time. I also have PVCs (premature ventricular contractions), diagnosed by echo. The doctor says MVP is moderate to moderately severe. I had symptoms in my 30s, got on Inderal. It was great for 30 years. Now symptoms have returned. I was diagnosed with mitral valve prolapse (MVP) through a 2D echo months ago. I have been experiencing shortness of breath and chest pain a year before though the diagnosis then was pneumonia and tuberculosis. After treatment for both, the shortness of breath, light-headedness and chest pain still persisted so I consulted with another internist and he requested for an echocardiogram; the result was the basis of my diagnosis. He (the doctor) gave me trimetazidine, Vessel Due and carvedilol. The chest pain disappeared, however, there are times when the shortness of breath (difficulty or inability to take in deep breath) occurs and I do not know what triggers it. I also asked my doctor for a diazepam to calm my nerves whenever an episode occurs. I feel relieved to read all the comments and realize that I am not the only one going through this and that there is hope. I cannot help but be depressed about it and I became cautious of every activity I do (especially if I am at the office or alone outside) for fear that I might have an attack without any member of my family around to help me. Anyway, hope we all feel better soon. I was diagnosed with mitral valve prolapse (MVP) at 17 years of age. Symptoms were heart palpitations and I always black out when standing for 5 or 6 hours (I was a nursing student before). I went to the doctor alone because I was scared, they did tests on me and found out I have MVP and my heart was damaged, not too high maybe 11 -14 percent in two parts. 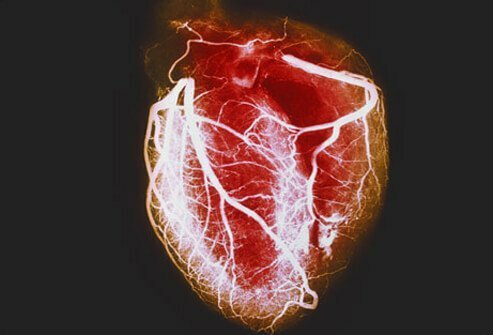 My cardiogram also showed the mitral valves clashing whenever they pump out blood which causes the pain. I've been drinking my maintenance Sumapen ever since. I used to take it twice a day along with B complex, but when I got better (rare palpitations and numbness and headache) they reduced it to 1 cap per day. But lately, I am now 24 years old, I've been feeling the chest pains, palpitations, numbness in my shoulder, pain at the back, coldness in hands, and shortness of breath (which makes it hard to sleep sometimes). I wonder if this is still MVP. I have been drinking coffee and I was sent to the emergency room once because I couldn't breathe because of caffeine. I was diagnosed with mitral valve prolapse (MVP) when I was 28, over 25 years ago. I had an event with fluttering heart that scared the life out of me. It was triggered by consumption of a few glasses of wine with an excited rush to greet a visitor outside. The diagnosis was that it was minor and wouldn't affect me beyond the occasional experience such as the one I described. As years went by, the leakage has increased and the symptoms with it. I now cannot lie down for sleep as the pressure in my lungs feels smothering. Non-invasive surgery is certain soon. I was just reading through this thread because I was diagnosed with mitral valve prolapse (MVP) as a teenager. I am currently 50 years old, in shape, lean body mass, eat healthy, take vitamins, etc. Over the years I have had episodes of sharp stabbing pain in my heart, and each breath would bring about the pain. I have gone years with no pain, but I just started having pain again. I also have been on anxiety medications for almost 7 years. I have had shortness of breath, pain in my calves, numbness, and cold hands and feet. The last time I went to a cardiologist was a few years back, and they did echo and stress tests. They confirmed the MVP, but kind of disregarded it like it is not a big deal. Meanwhile I am having stabbing pains in my left chest (heart) while doing nothing, lying down! It is scary to me. After reading these threads, I realize that I am not crazy! I hope that there is some help for it. I don't want to go to the doctor again and get dismissed like I'm a hypochondriac, which I absolutely am not! Thanks for your insight. I was recently diagnosed with mitral valve prolapse (MVP) and had similar experiences of many of you here. It was helpful to see that others have the chest pain, palpitations, anxiety, dizzy spells, etc. Mine is worse during PMS (premenstrual syndrome) and are very episodic in nature. I've been struggling the last two months out of nowhere and hope to get a break soon! I am wondering if mitral valve prolapse (MVP) is what I could have. I have fatigue, headaches, pain and heaviness in chest, left arm, and shoulder. I had open heart surgery as a kid to repair a hole and have had several episodes of passing out over the years with the cause never determined. I have mitral valve prolapse (MVP) and also fibromyalgia. I have a lot of fatigue, heart palpitations and pain/aching in my muscles. I have read that MVP and fibromyalgia and chronic fatigue syndrome are related, although my cardiologist swears up and down that my MVP should not affect me. However he wants to see me for an echocardiogram and stress test once a year. So I wonder why if my MVP is not a big deal. I believe MVP causes irregular and interrupted blood flow to the body and this contributes to my symptoms. I have been diagnosed with mild mitral valve prolapse (MVP). I often have sudden periods where my heart pounds really hard for no reason (but doesn't beat fast), shortness of breath and muscle weakness in my arms and legs. I have worn a Holter monitor and during these periods the doctor said everything was normal. She said I am probably overly sensitive to the MVP. It is stressful and I usually do take a Xanax and after laying down for a while it subsides. I also feel like I could have a heart attack but the doctor has no concerns. I may get a second opinion, because this is not normal! Early on, in my twenties, I had palpitations and sudden chest pain, eventually controlled well with beta-blockers. I have occasionally pain on the left side when sleeping on that side. I have fatigue, and sometimes inability to concentrate. Over several years, I have had episodes of visual disturbances. I see colored patterns, vibrating lights, usually on one side, lasting 15 to 20 minutes. Doctors do not see the correlation between this and mitral valve prolapse (MVP) and have made me worried that I have multiple sclerosis. In general there is reluctance among doctors to see MVP as causing many different symptoms. I have had occasionally detected faint heart murmur since childhood. In 2009, I developed irregular heartbeat, sinus rhythm. I was dropping a lot of beats, down to a rate of 40/minute. My chest would shake with each beat. The doctor I went to has MVP (mitral valve prolapse), knew the symptoms, started me on Ativan for anxiety and to slow down CNS (central nervous system). It helps. I have had stress and echo tests in 2009, and cardiology tests found nothing. Now I have a murmur and click. Fatigue is a big issue for me; and I guess anxiety. Doctors say best thing for erratic heart beat is to get up and run, walk fast, do something to get heart rate and blood pressure up. They say it can 'snap' the valve back in place. It does help a lot. The MVP doctor keeps an exercise bike both at his office and at home to quell his irregular beats. I experienced chest pain and palpitation with mitral valve prolapse. To my fellow mitral valve prolapse (MVP) patients. I was diagnosed with MVP when I was 38. I was having crazy pain in my chest, sometimes radiating out down my left arm. It flares up when I am stressed or emotional. Then I saw an acupuncturist who put me on an herbal formula called Heavenly Water. I don't know if that is standard for the diagnosis or just the formula my body needed to balance out the symptoms. But either way it works like a charm. I felt like a normal person again! I took it continuously for a while and all symptoms disappeared. I had to go off of it when I was pregnant and some symptoms came back, but mostly lighter than before. I am still nursing but much less and when the pain and nightly panic attacks came back, I went back on it and once again it has helped tremendously. I hope this information can help some of you, especially if you, like me, are not in resonance with pharmaceutical drugs. I had my 2D echo twice and diagnosis was mild mitral valve prolapse with mitral regurgitation. When I consulted the cardiologist, I was told that MVP is congenital. Symptoms I usually experience are shortness of breath and chest pain, even when sleeping. I'm 38 years old and have recently been diagnosed with mitral valve prolapse (MVP). I firstly started out with broken sleep and thumping of the heart that was terrible and really bad headaches. I went to see my general physician who diagnosed me with anxiety and panic attacks. I didn't think this was right but they were the professionals. Well I then started having more attacks and even in everyday things like shopping, stair climbing etc. I went to hospital numerous times and really felt awful and no one believed me. Eventually I had an ECG which showed something was wrong with my pulse. I was sent for an echocardiogram and this found MVP. I'm now waiting to see at what level I'm at. I stopped smoking 3 months ago. I am also so glad I found this site to know other people and their symptoms. It has been so refreshing to find this site and read other's experiences. I was just diagnosed with mitral valve prolapse (MVP) a few months ago. I had been seeing a doctor for 3 years due to increasing symptoms of muscle weakness, heavy fatigue, some shortness of breath and an overall feeling of being unwell. I am usually a very energetic and active person, but I was finding myself frequently missing work and unable to just get through a regular day. It finally got to the point where just walking around my house exhausted me and caused my heart to race, and shortness of breath. My general physician sent me to a cardiologist who diagnosed the MVP through an echo. I started a beta blocker to control my racing pulse. This has helped quite a bit. I still have frequent episodes of exhaustion, muscle cramps, and some shortness of breath. Stress and running a hectic schedule makes it worse. I keep being told by doctors and specialists that I shouldn't have any symptoms with MVP, especially because my prolapse is so minor, but I feel so much better reading all of your posts. Nice to know others are experiencing similar things. I was diagnosed after extensive testing a couple of years ago with mitral valve prolapse (MVP), because I was doing Curves workout and couldn't understand why I was so short of breath and yet women 10 years older than me were not! (I'm 65) It's annoying not to be able to hike or even walk too fast with this mitral prolapse thing. And I understand most people have a bit of it 60 and older. I do take 25 mg of atenolol and though there is some heart issues on one side of family (siblings have atrial fibrillation, I don't) it seems I should be able to exercise more than I can, without this annoyance. I was diagnosed with (mitral valve prolapse) MVP when I was 20. I was experiencing some chest pain so I went to a cardiologist. Upon having an EKG, it was diagnosed. It causes very few problems for me other than the occasional flittering of the valve which I can feel and with that, some feelings of anxiety. I still exercise regularly and without any difficulty. I was diagnosed with MVP (mitral valve prolapse) when I was 20. Other than dental procedures I never gave it another thought. When I was 45 I awoke one day unable to breath or stand. Paramedics were called and I was rushed to the hospital. My mitral valve had snapped and my lungs were filling with fluid. I was in surgery the next day and my valve was repaired. The repair lasted about a year when it slipped and started leaking again. It's been 5 years. I get an echo every 6 months. Just waiting to hear the news that I have to replace the valve. If you have MVP pay attention to it. I was diagnosed to have MVP (mitral valve prolapse) when I was 18 years. I used to have very bad shortness of breath and palpitations. I was in the emergency room most of the nights and finally echocardiogram helped the doctors in diagnosing it. I was on medications for a few months and slowly I started practicing my dance and other normal activities. Now I'm able to lead a healthy and asymptomatic life. Sometimes doctors really scare us but still we need to continue with our physical activities. About 3 years ago I started feeling a tingling feeling in my left arm and the left side of my chest. Then one night I felt shortness of breath, dizziness and felt as if my heart was racing. I was rushed to the emergency room just for them to tell me everything was fine. I was rushed again 3 times after that with no conclusive answer. Then my general physician diagnosed it as anxiety and I was put on Xanor. This actually helped for a couple months but I started getting sharp pains in my left arm. So I went to see a cardiologist and he diagnosed me with MVP (mitral valve prolapse) and put me on Lanoxin. I am so glad that I haven't been going mad and there is really an issue with me as over the past 3 years it was worrying to have all these symptoms. I am 34 year old and last year I found out that I had a prolapsed heart valve. My heart would feel like it skipped a few beats then feel like it was going to burst out of my chest. I would have stabbing chest pain and could not lay on my left side when trying to sleep. My heart doctor did all the tests, EKG, echo ND blood work and found the prolapse. I am now on atenolol which helps with the palpitations and the chest pains. I also suffer from panic attacks but have been put on medications for that too. Every time I lie down flat on one side, I start to feel an increasing pressure on the left side of my chest, and my left arms and hands feel tingly. Then after standing up right away it lasts for about 10 minutes. Yet I'm fine throughout the day. I now sleep elevated, but thought I'd try lying flat again to see what would happen since I've been eating plant-based food for 2 weeks now. I went to the emergency room 2 weeks ago but the doctor said it sounds like a gastro intestinal problem. I'm making an appointment with a cardiologist today, just in case it is mitral valve prolapse. My husband had repair surgery for mitral valve prolapse (MVP) 2 years ago, but still has some pretty hard chest pains, is always tired and has shortness of breath. He feels bloated and miserably full after eating only a few bites of food. After having a second echocardiogram, it showed his repair is holding great, but his heart is getting substantially weaker. With mitral valve prolapse my heart was racing, and sometimes it felt like there was an extra beat, especially when I was sitting quietly. I was diagnosed with mitral valve prolapse (MVP) 17 years ago, although I've had symptoms much longer than that. I was put on Inderal for a while but stopped it because my heart rate decreased too much. I get exhausted easily and get frequent migraines and occasional vertigo. I am a 43-year-old female and was diagnosed with MVP at age 27. I suffered from classic ocular migraines, which causes blurred vision, for many years and have always felt short of breath and like I can't breathe. My heart feels like it is doing flips most of the time and I have anxiety attacks where I feel like someone is standing on my chest. I feel like I just can't get a good breath. Because I have always been an athlete and am an avid runner, people don't understand why I have so many symptoms. I have just never let it control me or stop me from doing things I enjoy. Looking back, I remember when I was 15 and I woke up early one morning with sharp chest pains and I couldn't breathe. My mother took me to the ER and they said I had pleurisy. I have been on a beta blocker all these years and take anxiety medicine and migraine prevention meds. I recently saw a cardiologist because I am so tired all the time and feel dizzy even when I am laying down. Also, I have cramps in my calves and toes and my right eye twitches all the time. I found out that I also have PFO (Patent foramen ovale), which is a small opening in the heart that normally closes after birth. My doctor said he does not think it is necessary to repair at this time. I just get so aggravated, because I struggle breathing, which makes it very difficult to run. I really hope my information might help others know that we are not crazy. I am 47 years old and was diagnosed with MVP when I was 25. I have been having episodes of fainting, dizziness, heart palpitations and extreme fatigue since I was 12. I had rheumatic fever as a child, I believe, when I was in third grade. On July 12, I experienced severe stabbing chest pain for about 15 minutes. On July 13, I passed out four different times during a 30-minute period. When I would barely come to, I could see, but I had trouble registering what I was seeing, as though I was watching what was going on around me from a different world. When I came to the last time and was able to sit up without feeling nausea and dizziness, my left eyelid would not fully open, my head was numb, and my speech was impaired. Since then, I've had numerous spells of chest pressure and tightness with some pain. On September 2, I experienced again severe sharp stabbing pain in my chest that radiated through my left shoulder and down my left arm. I also felt a stabbing pain between my shoulder blades. I had difficulty drawing a breath, and had limited control of my left side, which was shaking uncontrollably. My fingers became cold and I had a terrible pain in my calf muscle. I went to the ER. The doctor ordered a cardiac blood workup, an EKG, and a chest X-ray. All tests came back negative for heart disease. I was told that I had an anxiety attack and the fainting episodes could have been seizures. I told the doctor about the MVP, to which he simply stated that it may be getting worse. I do not have a lot of faith in doctors, and as I don't have medical insurance, it is difficult to find a doctor who will take me on as a new patient. I had hoped that the ER would have been able to help me. Today, I am still experiencing chest pressure and tightness and some stabbing pain between my shoulder blades. I fear that I will have a major heart attack or stroke. I feel good sometimes but, when I suffer from mitral valve prolapse (MVP) symptoms they are usually, excessive sweating, chest pain, shortness of breath, and fatigue. The pain usually starts right behind my scar from my open heart surgery. After the tension in my chest has passed, I can gain a sense of my whereabouts. I have a hard time with my vision during these episodes. I experience these symptoms two to three times a week. I am a 39-year-old female and was diagnosed at age 9 with mitral valve prolapse. They monitored it throughout my childhood and teens, and I hated it. I felt fine. I studied professional ballet for 16 years, have lots of energy, am quite slim and eat a lot. My blood pressure has always been low. I stopped getting it monitored in my 20s, and about four years ago, I had an echo done by a doctor who was fresh out of medical school. He said I had "severe regurgitation" and that if I didn't have surgery soon, I would be gasping for air on staircases within two years. That never happened. I don't take drugs for it, and I still work out. I'm mainly asymptomatic with only occasional palpitations or sharp pains if I lie on my left side. I do have migraines and occasionally feel anxious but honestly, that runs in my family and no one else has mitral valve prolapse. I think that too many doctors want to perform expensive surgeries and scare people into them. Try to live your life: eat well, exercise, sleep and try not to stress. I still have an internist who really wants me to get it looked at again and I probably will, but the thing is, I've never broken a bone or had a surgery and the last thing I want to do is invite trouble for something that may never kill me. I have suffered from MVP for 20 years, starting out with the feeling of skipping and racing in my chest, to trying to catch my breath. After being told I was having panic attacks, I still felt things were not right, I went to a heart specialist and he did all the right tests and put me on Inderal, this beta blocker has made things better, I still feel the flutter, skipping and racing at times, but much less than before. I do not have caffeine or chocolate it actually makes my heart go crazy, but I find when it acts up I eat a banana and drink orange juice together it really helps, I try not to focus on the skipping and although its scary and hard not too, it helps. No one can understand how this feels unless it happens to you, I know how you all feel and if my story helps, I'd love to know. I was diagnosed at age 26, six months after giving birth to my eldest daughter. I ended up in the emergency room with an out of control heart rate and an impending feeling of smothering. My cardiologist prescribed Tenormin - 10 mg per day and after one year, weaned me off of it (Thank goodness. It made me weak and tired and unable to function). My most severe symptoms in the years since have been palpitations, and insomnia. However, now that I am in my late 40's, I find that symptoms are appearing at an alarming rate, particularly panic and/or anxiety attacks--those include rapid heart rate and palpitations, a smothering feeling which rather resembles hyperventilation, cold sweats, and numbness in my hands. It is quite disconcerting. Oh, and I've noticed that my sensitivity to Epinephrine has increased. My last dentist's visit which included Novocaine, brought on a 20 minute panic attack, due I am sure to the epi in the Novocaine. I have been suffering many symptoms over the past 12 months it began with headaches then depression anxiety, panic attacks and palpitations. I also experience other symptoms including chest pain, stinging in veins and shaking inside which must be my nerves. I have been to my GP on numerous occasions and have even visited AE! No one has diagnosed anything even after many tests. Basically, I felt like I was going crazy until I tap into this site and can't wait until tomorrow to contact my GP and basically diagnose myself. If it wasn't for finding this I probably would have cracked up. All I can say is don't suffer in silence. I was diagnosed with MVP about 3 years ago. I was having dizzy spells and palpitations a lot. I have also felt like I couldn't take a deep breath a lot of the time. I also suffer from feeling tired a lot of the time. I went to see the Cardiologist were they found MVP. I am relieved that I wasn't crazy. I also suffered with panic attacks that left me in the emergency room three different times thinking that something really bad was happening to me. My doctor put me on a Beta Blocker and an anxiety medication. Together the two have seemed to help the palpitations and extra beats or fluttering. I also have not suffered from a panic attack in a long while. I still suffer from feeling like I can not get a good breath a lot of the time, but over all I think I am more relaxed that I know what it is that is causing these crazy symptoms. I do notice that I have a much harder time maintaining and taking off weight now that I have been taking this medication. I wish everyone luck with MVP it is a very tricky problem and also scary at times. We just have to take each day at a time. I am a 23 year old female that one day had severe chest pain. This was the day that changed my life. I was at work, like any other day, when suddenly I had a terrible pain in my chest, I felt very short of breath, with hot flashes. I thought I was just sick. I turned pale white and felt as though I was going to pass out. With in two hours of feeling this way I was in the hospital hooked up to different machines. They couldn't determine what was wrong with me. I went home and two days later another episode that brought me to tears. I started noticing how I was short of breath after doing little things, like walking to the restroom or even from the living room to the kitchen to make coffee. My Dr. was struggling but determined to find what was wrong. He mentioned at one of my exams an irregular heart beat. He ordered an echo when finding out my father passed away at a young age, 47, do to an undetected heart problem. The echo showed the signs and confirmed that I had MVP. I kept complaining of a pressure on my chest. It felt like 10 tons of bricks just sitting there. Even though I was breathing and getting oxygen it felt as though I wasn't. My Dr. ordered every test known to man kind, to find out that it is MVP. It's been 2 months since all of this has started, I still have the pressure in my chest, I get the palpitations every day, and I am ready for a nap at about 2:00pm every day. It's encouraging to know that this is common. I have learned to live with the complications as mine don't seem to subside very often. I have taken things out of my life, IE. Coffee, alcohol etc. As it makes me feel worse, and my palpitations worse when those things are in my blood stream. It's hard being so young as the doctors are afraid to do anything. Every day is a new day and a new experience. My doctor right now is working towards getting me the proper medication needed so I can maintain a normal life. I'm from Palestine, since 4 years ago, when I was 20 years old, I was feeling irregular pulse rhythm and some chest pain, I visited many doctors but none of them determined my case. For making me relax they advise me to take Beta Blocker, I used to take beta blocker all the last period every 2 days.2 years ago a doctor determined that I have MVP and ask me to continue in taking beta blocker. So I feel depressed because I have to deal with beta blocker all the rest of my life. but before 2 months I research about MVP on the net and I found many useful things and I realized that MVP is related directly to the nervous system which affected by many kinds of food. So I begin drinking 2 liters of water daily and avoid taking caffeine especially coffee, tea, and chocolate. Now I just want to tell you that I stop taking BETA BLOCKER, and didn't feel any of the last symptoms, but some time I feel irregular pulse but I take some relaxers and every thing is going fine. 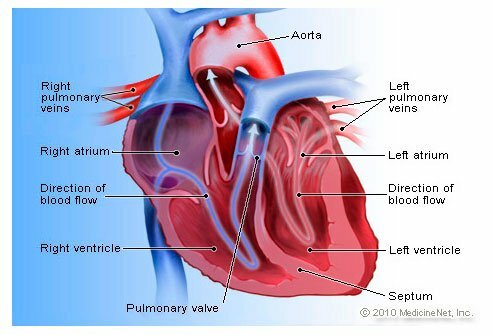 I have fatigue and shortness of breath occasionally, because of mitral valve prolapse (MVP). I'm a 34-year-old mother of five with MVP. I've recently started having arm pain that my doctor says can be associated with MVP. I haven't read or heard of other having this symptom. It started with just the left arm but now both arms occasionally will ache and sometimes hurt to the point of tears. I first went to my doctor because I was having frequent choking episodes, and when they happened I had the worst pain shooting down my arms, like being jabbed with 1000 needles, and the pain would last for up to 30 minutes after I'd stopped choking. I was concerned with the pain in my arms, but doctor was concerned about the choking...so thyroid tests, GERD tests, nothing. Just got back from another follow and told doctor about the dizzy spells I've started having, as well as the palpitations. I was diagnosed with asthma as a child, but now when I describe the feeling when I'm having trouble breathing, it doesn't sound like asthma at all. This was a new doctor I saw today and she listened to my heart and said that I had a heart murmur, and very likely MVP as well. My question to others is, do you ever have sharp needle like pain going down your arms or across your chest or back from a bad coughing or sneezing fit? I was diagnosed with MVP during the pregnancy with my twins at age 38. I became very tired. anxious, and unmotivated. Although it did pass after their birth I have had continuing symptoms off and on. I am now 54 years old and have been going thru menopause and symptoms have worsened. Very tired anxious at times not motivated. Headaches and i feel not like myself at all. I have always been very energetic and my glass always half full. Now my energy level low and always down. My OB GYN says its horomones. I was diagnosed when I was 14. My doctor didn't prescribe any medications, just to have an echo once every two years. I went to another doctor just to make sure – they say I should be careful because there's a possibility of having a stroke. It's been seven years since I was diagnosed with MVP. Before, I only felt palpitations, tingling of my left hand, headaches, and sudden chest pain, which goes away in a few minutes. Sometimes when I'm short of breath, my back hurts. My cardiologist said that I just need to exercise the muscles on my back by stretching. Lately, I've been feeling this bruise-like pain that feels heavy. It's really bothersome and I hope it goes away soon. I am in Bermuda. I also have MVP. I was told last year when I did a full physical. But before that, I was having complications such as coughing and sharp pinches around the heart and sternum and also an irregular heartbeat. Almost a year has passed since I was told of MVP, and things have gotten somewhat worse. Today, I am getting fatigued, my eyes look tired and red a lot, and I'm still coughing and having more and more pinches in the chest. My breathing is getting worse when I sit or lie down. My doctor told me if the breathing gets worse to go to the emergency room. I am 39 years old. I was diagnosed with MVP more than 24 years ago. I am 46 now. I took beta blockers (for two months), and they made me so tired and out of it I stopped taking them. I get the flutters/palpitations all the time. I have never passed out. I have had only two electrocardiograms since the diagnosis. I have been told to basically ignore it. Do not breathe any differently when you get an attack or you can pass out due to hyperventilation rather than the MVP. Stress plays a major role in MVP, so try not to let that happen. Most of all, do not worry about it! If something changes, see your doctor and then discuss your options. This is a very livable condition. The nurse and I get a chuckle every time she takes my pulse as it does skip a beat very often! I feel that I have had this condition since I was 13 or 14. At that time, I would only have an occasional glub or flutter of the heart. At the age of 22 or 23, I mentioned this to my doctor and they did an EKG, which I thought was stupid because my symptoms were occasional. The EKG found nothing. They said I had anxiety instead and put me on Paxil. My heart continued to do the occasional flutter where it feels like it's pausing then making up for beats right away. Not one time that I have been to the doctor have they heard anything in the stethoscope. I am now 30 and for the past month, I have been experiencing more and more palpitations. Walking up a hill seems to make me out of breath. My mother has had mitral valve prolapse since her 20s, so I'm pretty sure I have it as well. I have no confidence in doctors and am terrified to go see one. Plus it seems to me that the medications they give me don't really help. I've had mitral value prolapse (MVP) for 28 years, and the symptoms started after the birth of my second baby. I had problems with what I thought was a breast not feeling right during nursing. But then my heart really raced and felt like it was stuck on the first beat. I fell into a closet; I thought I was having a heart attack. I was originally prescribed Quinidine Sulfate, something they would not prescribe today. It made me depressed, so I stopped it and just tried to deal with my emotions and calm myself after the spells. I noticed my hormones had a lot to do with it. I also had some weird spells where on my right side, by my eye, I could feel my heart in the pulse of my vein and my sight went strange. I started having what was believed to be panic attacks at this time, and my mitral valve prolapse problems would happen. Sometimes I had to leave grocery stores without groceries. In my 30s and 40s it was better. But now in my 50s, it is worrying me. I have medication if they get bad. Over the years, I haven't been able to run without having a spell or walk up steep steps. I am fatigued most of the time (I also have hypothyroidism). When I am especially worn out, I feel "stress" in my chest near my heart. It's not really pain, more of an ache. If I lay down a while it goes away. I sometimes feel depressed or suffer from panic attacks. Lately I've been experiencing vertigo (not sure if this is part of the MVP). I tend to get headaches frequently also. After back and forth to gp and hospital now desperate thinking I am going nuts due to anxiety exhaustion breathlessness light headed and dizziness it seemed my coping mechanism wasn't there. All seemed focused on my slow heart rate and said no connection to my symptoms. I also have MVP this seemed to be ignored as the leak is minimal. I am going for 2nd opinion today and I came across this site. I have fainted intermittently since the age of 12 and always attributed the episodes to dehydration, fatigue, hunger, etc. When I was 25, I began fainting for no apparent reason. I also suffered from palpitations that left me dizzy and short of breath. After passing out twice during a rotation at the hospital where I was a medical student, a cardiologist performed an EKG and an echocardiogram and diagnosed me with MVP. I took beta blockers for a few years, but the fatigue from the medications was too debilitating. I discontinued them and really haven't had too many problems except for occasional palpitations. I haven't fainted in almost three years. I have always felt like my heart "skipped" a beat as long as I can remember but only a few times a year. I also am often fatigued. Now, at 40, I started having chest pain and these "skipped beats" were happening 20 to 30 times a day. I went to the cardiologist who did a sonogram and diagnosed me with MVP. He told me to avoid caffeine, and I go back in a month. It was my cardiologist who finally told me I wasn't crazy, there is a "syndrome" (MVP Syndrome) that is really a malfunction of the autonomic system that gives symptomatic MVP'ers all these weird symptoms. For me, it's migraines, exercise intolerance (headaches, raised BP and HR), light-headedness, sleep disturbance, palpations, and fatigue. I am 15 years old, and my symptoms are a bit different. Often I experience fainting, and I feel as though my heart skips beats, but I have never had chest pains. I was diagnosed about a year ago, and the only thing I was told is to drink more water. I always feel dizzy when I stand up, but I have gotten used to it. I was diagnosed with SVT while pregnant and had an ablation after giving birth to try and correct the problem. My SVT symptoms returned and lately I have experienced more fatigue lately and severe shortness of breath when I run. I also started having an aching in my chest with palpitations. I have always had headaches, depression, and anxiety all my life, but it wasn't until I was diagnosed with MVP 2 weeks ago that I realized they were all related. Now my husband believes me that no matter how often I run I still get short of breath, even though I am in great shape. I experience fatigue breathlessness and also irregular heart rhythm it almost feels as though my heart has had a blow or dropping out of its socket often accompanied by a cough. I am starting to experience dizziness. I was just diagnosed with MVP 3 weeks ago after experiencing many of the symptoms at work dizziness, sweats, sharp pains in my chest and rapid breathing. It took my primary care physician and a cardiologist to diagnose me with the condition after numerous tests and procedures. I never heard of the condition before but thankfully with the help of Inderal, I am able to sleep and work peacefully and with the peace of mind. I have frequently had problems with anxiety, depression, fatigue, migraines, and panic attacks. Recently, the above symptoms have worsened to an intolerable level. I am now on a cocktail of drugs, each of which seems to increase the severity of a different symptom treated by another drug! Essentially, I take one drug for depression and anxiety which causes migraines, fatigue and panic attacks. The drug I take for migraines causes fatigue and depression. Etc.....It was not until 10 seconds ago that I knew that all of my symptoms are related to my MVP. I also never was told to medicate before Ob/Gyn and Urological visits. My first symptoms of mvp came about while working. It also came about during a very stressful time in my life. First I felt a sharp pain in my chest and then my heart started pounding and racing. Afterwards I started having these symptoms more frequently and at night while sleeping. The worst came about while sleeping and I was awakened from a sound sleep. The palpitations lasted for about 20 minutes. Throughout all of the palpitations I was also experiencing a feeling that my heart was cutting flips. I later found out that this was actually a skipped beat. Along with these symptoms I was also experiencing fatigue and feeling out of breath. I was diagnosed 10 years ago with MVP. I had not had a check up for 3 years and had one the other day to find out that it has to be operated on at once, hopefully they can repair it, better than a mechanical one. The moral of the story is get it checked out yearly. I was diagnosed with MTV many years ago. I was told it was mild and have totally ignored it. I have always been into exercise, and it has not affected me other than skipped beats. It seems lately I am getting these skipped beats more often at night. I still don't let it effect my life. I am on Toprol, a beta blocker, but was put on it because my blood pressure rises when I get upset. I was diagnosed in 1983 with MVP. I remember suffering from skipped heart beats and what I describe as the blood rushing to my head and then rushing to my feet. I have always suffered from dizziness and loss of breath. Sometimes, I can't breathe and have to hold my breath. Otherwise, my heart hurts and I feel like my heart will burst. It usually lasts from a few seconds to a minute. Other times, I get an uncomfortable chest pain and have to take short breaths. This usually lasts for a few minutes. It seems to always begin with a little cough, not the usual cough but a flutter and then my heart starts beating very fast. I usually sit and try to relax, I feel weak and when I stand up to walk I feel weak like I could faint, so I usually stay seated until it passes. It seems to last a lot longer now than it used to. I have had it for 10 years, with only occasional times when I experience these symptoms. When I went to the doctor 10 years ago, I was pregnant and did not want to take beta blockers.